Our customers hold us in high regard. Many of them have recommended our services to their friends and their fellow students. We get repeated orders from the customers we serve. 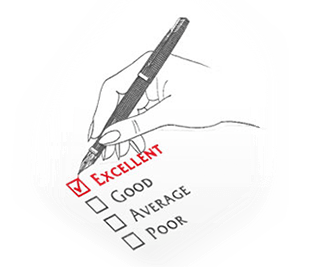 The customer testimonials shared here will provide a good idea of the work we have handled and what our customers think of our services. I am grateful to the editors at this company for helping me with my project. Though English is my second language, my deficiencies in it were overcome, thanks to the hard working team at UK Editing. I would recommend their services to anyone. Top show by the editors! Thanks for editing my philosophy thesis. I took the help of UK Editing when I was working on my first book. I took their help again recently for my next publication. Their standards have only gone up. Thanks to the ESL editors at UK Editing for polishing my research paper. I recommended their services to my fellow students, and they were thrilled with their services as well. I am grateful to the team for helping me with my economics paper. Keep up the good work. Hope to work with you again soon. The skill and knowledge of the editors at this company never ceases to amaze me. I admire them for their hard work. Big thanks to my proofreading team! Your keen eye for detail helped me get top marks in my dissertation. The professional approach, efficiency and adherence to grammatical rules shown by the editors at this company are outstanding. UK Editing, you are doing a great job. Keep up these impossibly high standards. Well done, guys! You are the finest editors I have ever worked with. I will recommend their services to my classmates. The editors at this firm have astonishing command over language, and they know the precise style to be followed as recommended by the UK universities. My project was handled with complete efficiency and delivered as per the deadline set by the firm.